Welcome to the first fall tour of Our House on the Hill. In reality it is actually our second fall residing at Our House on the Hill but with moving, my daughter’s serious health decline and my limitations, we chose to forego sharing our home or decor for more than a year but we are back and super excited to share it with you today! Welcome to our little oasis! Last week, I shared a tour of our House on the Hill just before we moved in, and today I want to share our elevated deck, a.k.a. outside oasis. We love the serenity, quiet view and country oasis our elevated deck offers. To capitalize on that oasis, I have adapted it to fit a few of our needs, while sticking to a budget. A very tight, budget. You will discover during our reveal that most of the items we used to give it appeal and warm, cozy feelings are items we recently inherited, purchased second hand, received as gifts or had in our stash and cost us ZERO dollars. How can you beat that? I promise it was fairly simple and very inexpensive. Welcome to the House on the Hill! We are excited to share our first ever tour of our new, untouched House on the Hill. Over the next twelve weeks we will be offering a tour of each area of our home as we transform it to be warm and inviting instead of stark, white and boring. Welcome to week #2 of Time Saving Tools Tuesday. Today, I want to share the “tool” everyone in our house uses and loves. Collapsible baskets. 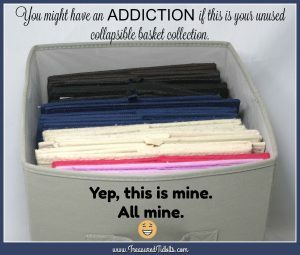 Yep, small inexpensive, collapsible baskets. 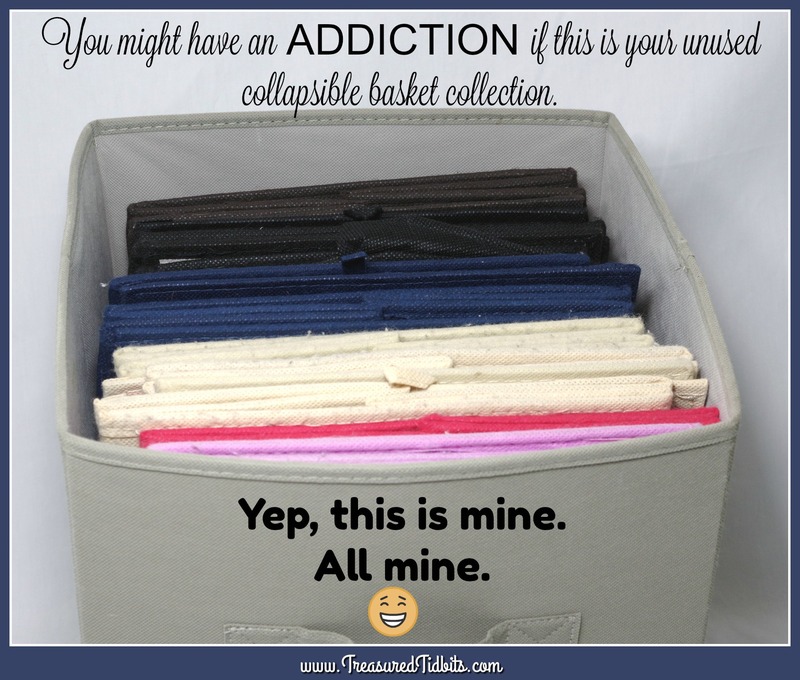 We use them for everything and have them in almost every room of our home; for now, I want to share why we love them and why we own over 30 of these in various shapes and sizes. Later this week, we will share the multiple ways we use them every single day.